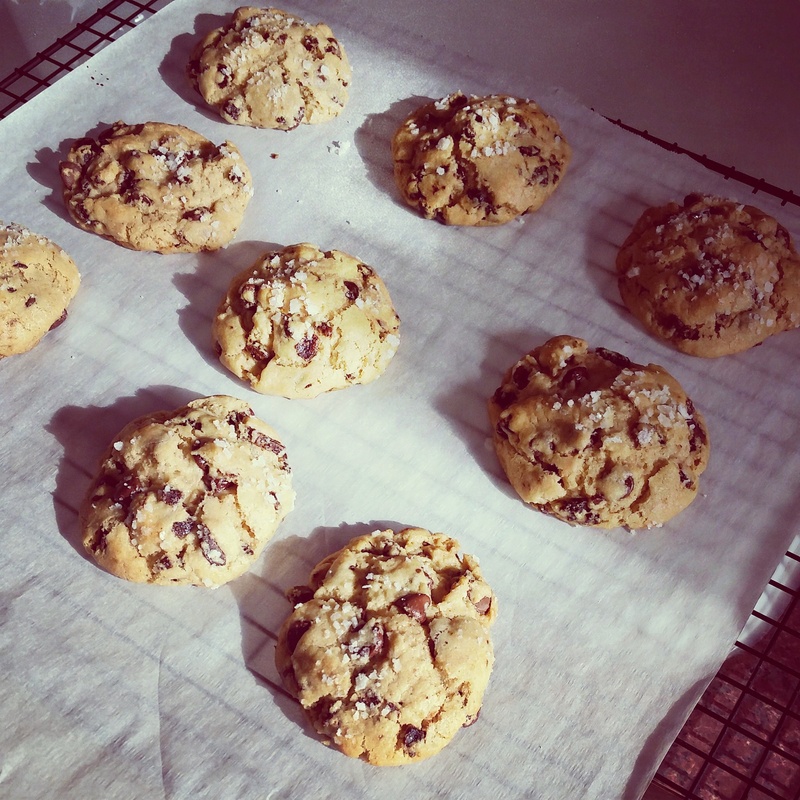 Earlier this week as NYC braced itself for a historic blizzard I decided to use the downtime to bake. 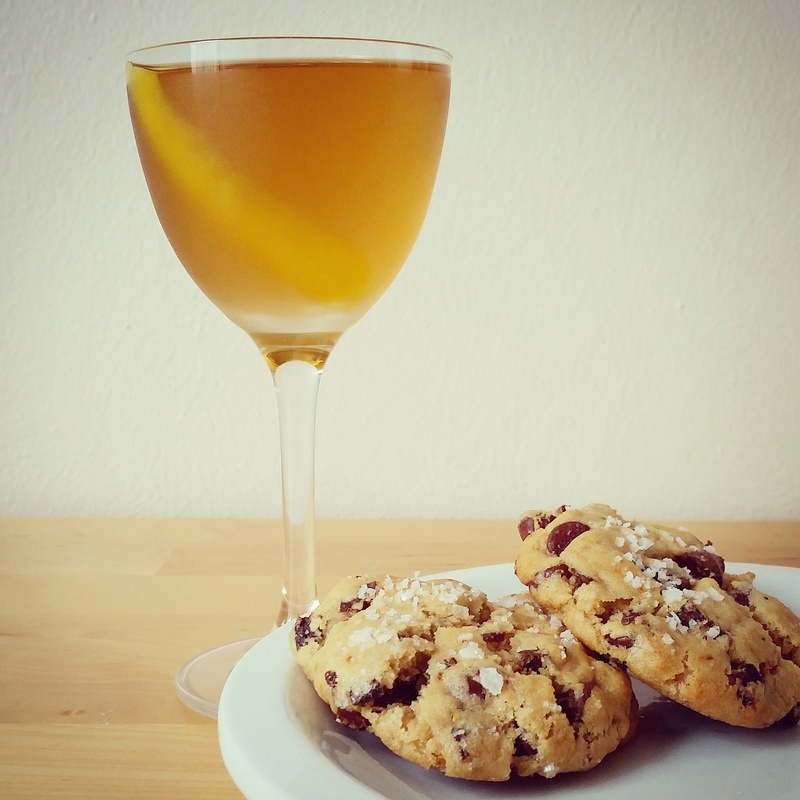 I had fond memories from last summer of Brooklyn bakery Ovenly’s near infamous salted chocolate chip cookie that totally hit the perfect balance of salty-sweet and moist at its center. [Sidenote: I had immediately regretted buying only the one cookie while my (smarter) friend who had picked up a dozen had to fend off my attempts to mug him of one of his.] In a nutshell Ovenly’s cookie hit the mark and rocked my taste buds. Recreating that cookie would be my snow day mission! Luckily for me (and you!) Ovenly’s original recipe can easily be found on the interwebs so I decided to switch things up and make a chewier version by adding figs. Because I love figs and they were in my pantry. Below is their recipe modified to reflect only my heavier hand with the chocolate chips and the addition of the figs, but otherwise it’s the original recipe from the team at Ovenly. Add the chocolate chips and chopped figs to the flour mixture and toss to coat. In a separate large bowl, whisk the sugars briskly with the canola oil and water until smooth and incorporated, about 2 minutes. 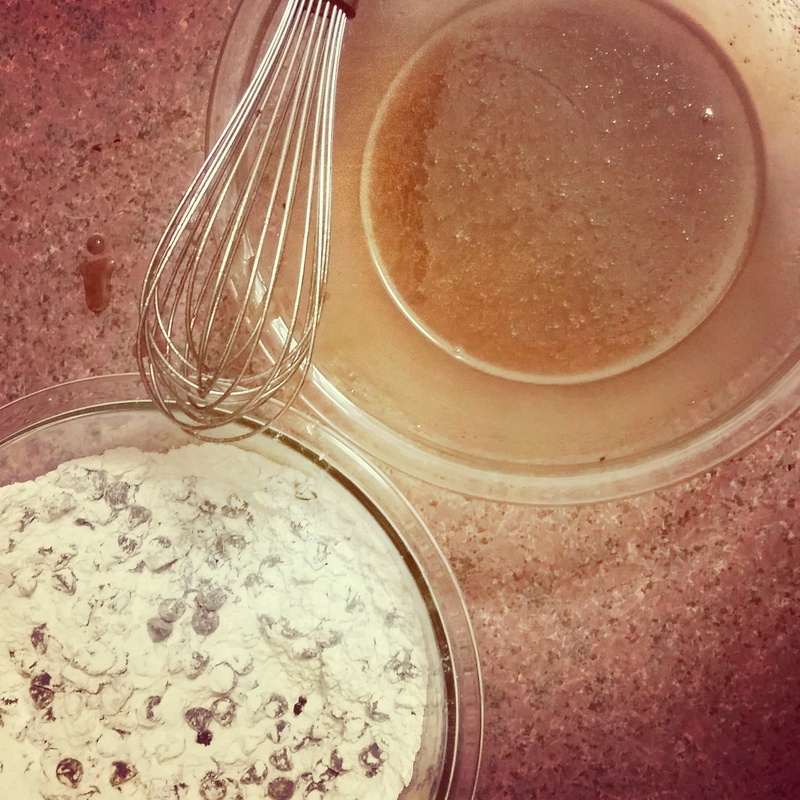 You should end up with a smooth and glossy mixture. Cover with plastic wrap. 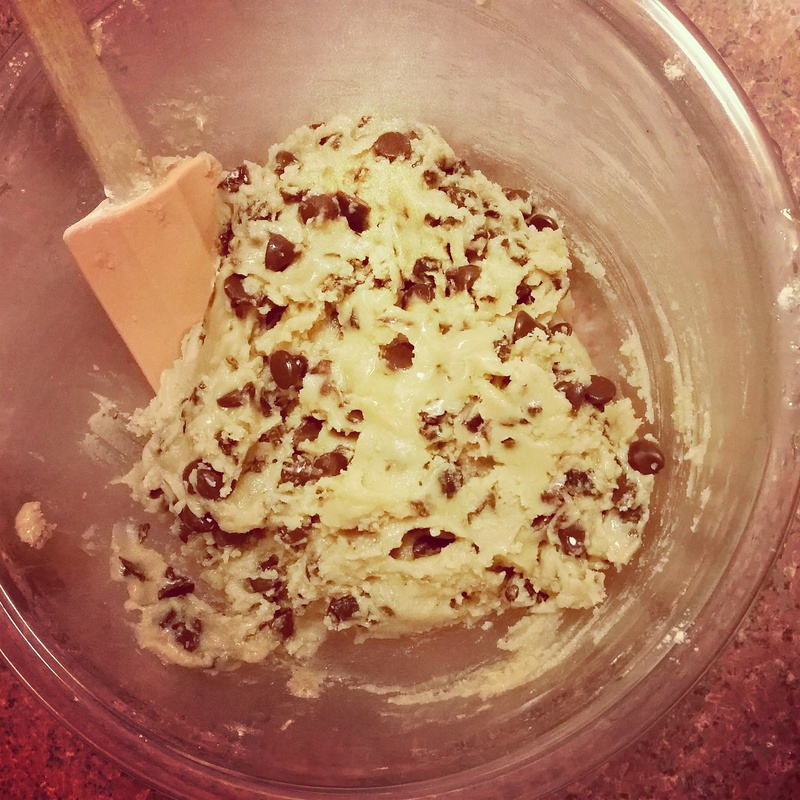 Refrigerate the dough for at least 12 hours and up to 24 hours. Remove dough from the refrigerator and portion dough into 1.5 -inch mounds. 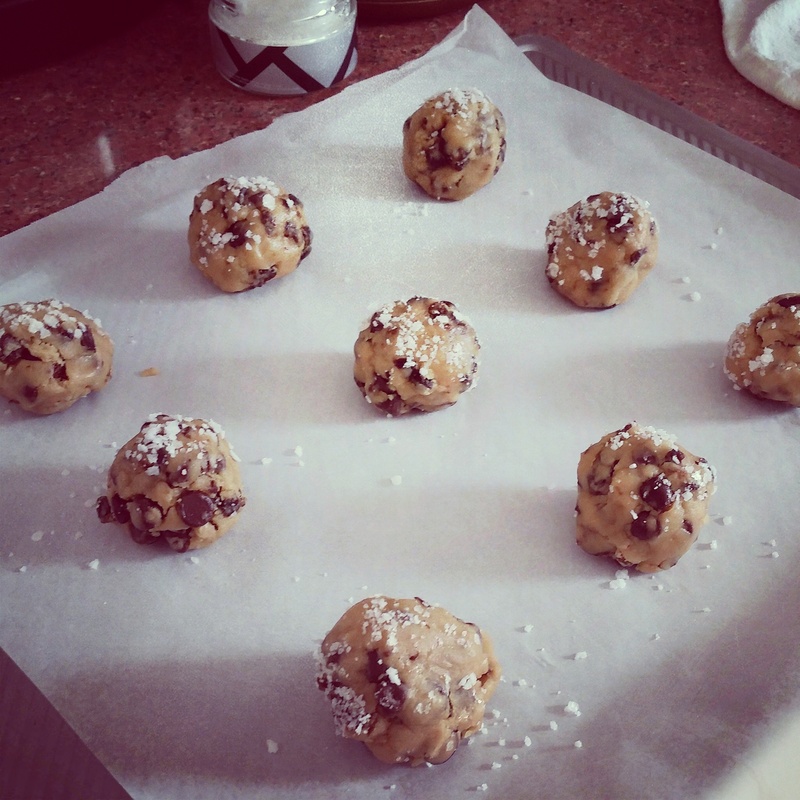 Freeze the balls of dough for 10 minutes before baking as the cookies will retain their shape better while baking. Before baking, sprinkle the balls of dough with coarse-grained maldon sea salt. Bake for 12 to 13 minutes, or until the edges are just golden. Do not overbake. Cookies Straight from the oven. The storm may have been a bust but I’m really happy with how the cookies turned out. Arielle, they really are as good as they look (forgive the brag) and days later they are still just as moist. It’s a cookie miracle.